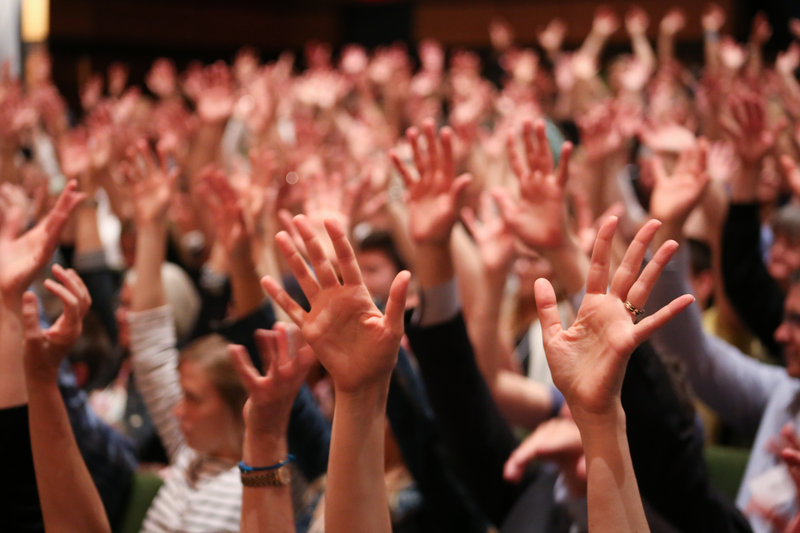 The following is a guest blog by Laura McDiarmid, leader of the FHS Employee Engagement initiative, with an introduction by Dean Reznick. I wanted Laura to write a piece for this blog because there have been two compelling recent developments on employee engagement. First, the report on the first year of the initiative is now available, and Laura is sharing and discussing it with us here. And second, the date has been set for the second annual employee engagement conference: Wednesday June 26th. No, that is not a misprint: 92% of respondents are satisfied with their job! Numbers like this are essentially unheard of for employee satisfaction surveys. Many people deserve a great deal of credit for helping to make the Faculty of Health Sciences a positive workplace. Everyone in a leadership role for listening to and caring about your staff members. The entire Employee Engagement Committee – Kayla Desloges, Lindsay Lee, Nicole Rogerson, Jackie Moore, Laura McDiarmid, and Denis Bourguignon – for finding so many new ways to make the faculty an active, appreciative, and supportive place for staff. But the most credit goes to our amazing staff members themselves. The reason why so many people find their jobs here satisfying, I suspect, is because the faculty gives them a chance to work with other energetic, passionate, and purposeful people. With such a fantastic group of people making up our staff, FHS becomes something more than a workplace: it becomes a community. I am happy to share the first-year report on our employee engagement initiative with you. Thanks to a dedicated committee as well as support and participation from leadership, staff and faculty we have had a tremendous year filled with building connections across units, getting active, laughing, appreciating each other, learning new skills and enjoying some delicious treats! Some of the highlights of our first year include several Fitbit challenges, a gathering to share pizza in City Park, a very successful holiday donation drive, the redevelopment of our employee newsletter, voicing our appreciation for each other in February’s “Gratitude Grams,” and, of course, our first annual Employee Engagement Event, which took place at the Isabel in May, 2018. 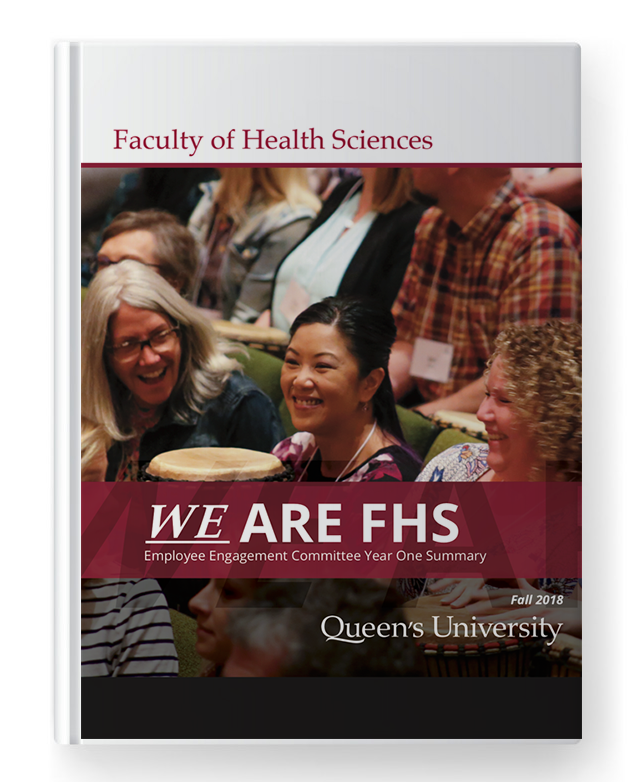 The goal of our engagement strategy is to promote a culture of engaged employees in the Faculty of Health Sciences through a deliberate and faculty-wide effort. We want to create an environment in which employees feel empowered, supported, connected to their colleagues and appreciated. As the numbers from our survey show, we are already well on our way to meeting these goals. But we need to maintain our momentum and build on our successes going forward. Building connections across the Faculty leads to collaboration and innovation that is not possible if units work as stand-alone entities. Enhancing employee communication leads to understanding of the Faculty and supports building community. Recognition and appreciation is easy, and increases morale and dedication for both the person giving and receiving the praise. Empowering employees and encouraging personal and professional growth encourages mastery and excellence. By consciously working on these aspects of employee engagement across our faculty, then, we can continue to improve upon our culture and offer our staff members increasingly high levels of satisfaction in their work. Across FHS, I see staff, faculty, and students constantly striving for excellence in every aspect of their life. Our employee engagement strategy is helping to build the culture and community to support them and help us all achieve our shared vision to ask questions, seek answers and inspire change. And remember to save the date for the 2nd annual Employee Engagement Conference – June 26th . This year, we’ll be in the new medical building and we’ll have another great line up of speakers and events. Stay tuned for more information!